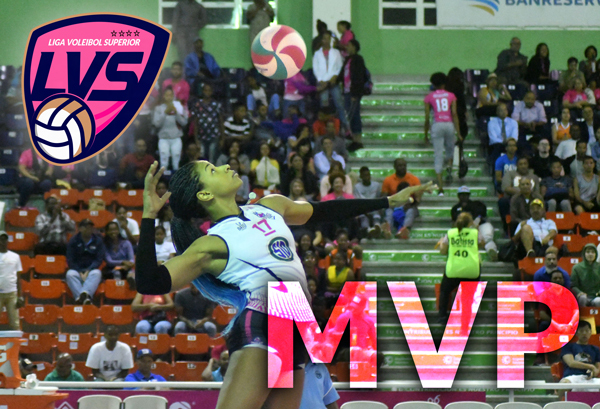 SANTO DOMINGO, Dominican Republic, March 19, 2019 - Gina Mambrú, the opposite star of Cristo Rey whose team was successful in three commitments, was elected as the Most Valuable Player of the second round of the Women's Superior Volleyball Tournament in option to the City of Santo Domingo Cup. Mambrú was chosen by the vote of the sportswriters that cover the competition of four teams that is in its second year. In the triumphs of his team, the popular athlete scored 58 points (19.33 per game) and landed 8 aces. During the second phase, Mambrú reached 20 aces to establish a new record, breaking the previous one of 16 set by Gaila González last year. Two other players of Cristo Rey were considered - the central Marifranchi Rodríguez and the setter Yocaty Pérez. Also among the candidates were Bethania de la Cruz, from Mirador, Priscila Rivera, from Guerreras, and Erasma Moreno from the Caribeñas. Mambrú will receive a plaque from the Organizing Committee and a television courtesy of the Social Plan of the Presidency.